Check out the Musician's Show this Wednesday to hear the jazz guitarist, Ryan Meagher, who'll be on air for a chat and to spin some tracks of his own choosing. 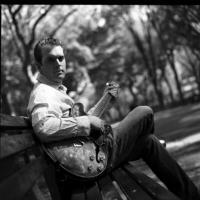 Meagher moved to New York after studying at San Diego State University, and began studying with the likes of Kurt Rosenwinkel, Ben Monder, Steve Cardenas and Peter Bernstein. He went on to study jazz and improvisational music at the University of Nevada, Reno. Since, he has gone on to head the group Oddibe Funk, which considers itself boogaloo/soul-jazz with Alan Ferber, Dan Pratt, Jared Gold, Joe Bagg, Mark Ferber, and Vinnie Sperrazza. His discography includes Tango in the City of Roses, Tone, and Atroefy.